Toxic birds are rare, yet the island of Papua New Guinea is home to three distinct groups of them. Despite the genetic and ecological differences between these three avian genera, all of the poisonous birds identified in New Guinea utilize the same type of toxin as a natural defense mechanism. While the genus Pitohui was first identified in the early 1800s, it was not until an inadvertent discovery around the year 1990 that clued modern researchers in on the bird's toxic traits. After laboratory tests confirmed the presence of a certain neurotoxin in tissue samples from the bird, the Pitohui genus became the first group of birds from Papua New Guinea to be recognized as poisonous. While several species from the genus contain the toxin, the hooded pitohui (Pitohui dichrous) is considered the most poisonous. Pitohuis tend to have brightly colored feathers. The breast of the hooded pitohui is a brilliant shade of orange, which is framed by the pitch-black plummage on the bird's head and wings, according to Audubon Magazine. As it turns out, the pitohui were not alone. In the years following the positive identification of poisonous birds in Papua New Guinea, researchers determined that the blue-capped ifrit (Ifrita kowaldi) was also toxic. These birds are insect-eating residents of the oceanic rainforest much like pitohuis, although the ifrits have duller-colored bodies and a prominent crown of blue feathers. Natives of the island call the bird "nanisani," which is the same word they use to describe a certain type of beetle species that possesses the same toxin in its body, according to the California Academy of Sciences. The little shrike-thrush (Colluricincla megarhyncha) is the third type of poisonous birds discovered in Papua New Guinea. It has a plain appearance compared to the colorful pitohui and ifrit species. The tiny birds are covered in olive and brown feathers with grey skin on their feet and legs, according to James Cook University. The shrike-thrush prefers wet terrestrial environments near lakes and rivers. Despite their differences, the three birds all contain a common ingredient: batrachotoxin. This chemical is one of the most potent naturally occurring poisons in the world. 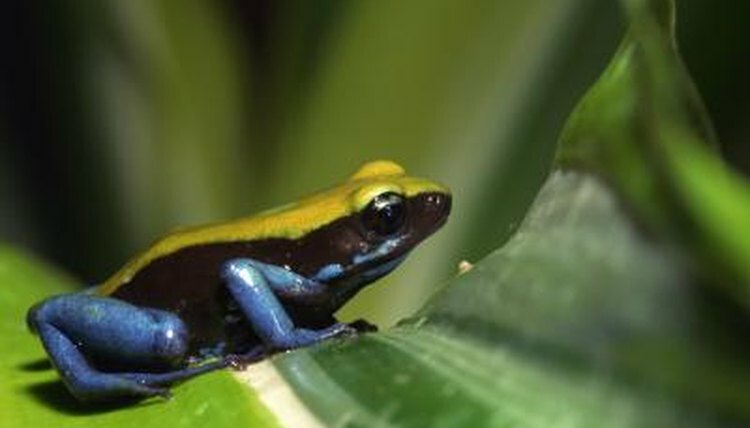 It's also the substance found on the skin of golden poison arrow frogs in the South American rainforest. Researchers suspect that all of New Guinea's poisonous birds harbor the substance in their body tissues and feathers after they consume native Melyrid beetles, which carry large quantities of the toxin in specialized sacs. Birds bred in captivity do not appear to have the substance in their bodies.